December has just become a great time to buy a car India if you were eyeing a Hyundai. For, Hyundai Motor India Limited (HMIL) has announced that it will hike prices of cars by 2 per cent across its model range from January 2018. This will increase ex-showroom prices of Hyundai cars in India in the range of Rs 6,580 to Rs 50,380. 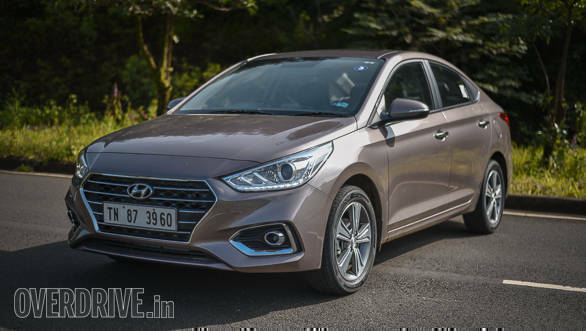 The price hike will affect all Hyundai models including the Eon, Grand i10, Elite i20, i20 Active, Xcent, Elantra, Creta and the Tucson, as well as the recently announced Indian Car of the Year, 2017 Hyundai Verna. Speaking about the price increase, Rakesh Srivastava, director - sales and marketing said that HMIL has been absorbing the increase in input and material costs, but is now constrained to increase the prices by 2 per cent. Carmakers usually announce price hikes at the end of the year to attract buyers who may be putting off their purchase to the next year. The price rise affects different models. For example, the Hyundai Eon D-lite base model which costs Rs 3.29 lakh will cost Rs 6,580 more at Rs 3.35 lakh (ex-showroom, Delhi). Similarly, the top of the line Hyundai Diesel AT GLS 4WD which costs Rs 25.19 lakh will cost Rs 50,380 more and be priced at Rs 25.69 lakh from January 2018 (all prices ex-showroom, Delhi). Carmakers including Nissan, Mahindra & Mahindra, Volkswagen, Maruti Suzuki India, Tata Motors, Ford, Toyota, Honda, Skoda, and Isuzu have also similarly announced price hikes.